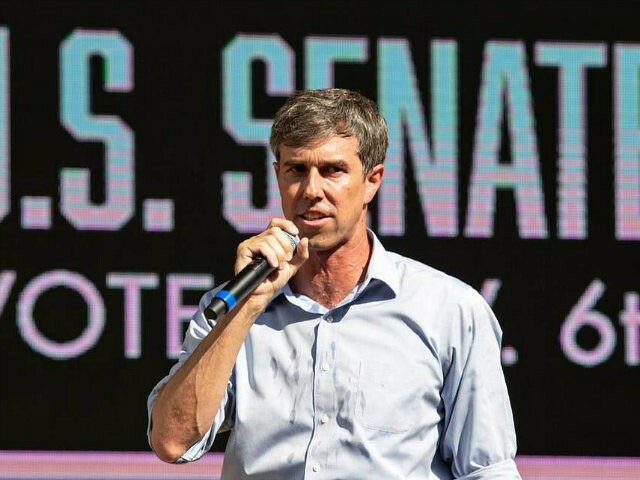 Big Tech company employees are pouring money into Democratic candidate Rep. Beto O’Rourke’s senate campaign in an attempt to unseat Sen. Ted Cruz (R-TX), with employees from Google parent company Alphabet listed as the second largest donating force. According to CNBC, employees at Google parent company Alphabet were the second largest contributor to O’Rourke’s campaign overall, and came first on the list of Big Tech contributors, with Alphabet employees donating $157,189. Overall, Alphabet was only beaten in donations to O’Rourke’s campaign by employees of the University of Texas, who donated $296,123. Microsoft came second on the list of Big Tech contributors, with employees donating $58,943, followed by Dell ($56,361), Facebook ($53,929), Apple ($52,494), and Amazon ($48,573). “In an effort to put a check on the Trump presidency, tech workers are funding competitive contests that could potentially flip the House of Representatives in favor the of the Democrats and take out at-risk Republicans in the Senate,” CNBC continued. In comparison, Alphabet, Facebook, Amazon, Microsoft, and Apple did not appear within the top hundred contributors to Cruz’s campaign. On Tuesday, in an exclusive article for Breitbart News, President Trump’s 2020 campaign manager Brad Parscale warned that Big Tech companies were preparing to influence the midterm elections. In August, it was revealed that more than 1,000 Big Tech executives and employees had donated to a pro-Democrat super PAC since 2015.